We have to congratulate SpaceX for another amazing achievement as they launched the first commercial supply mission to the ISS, which launched today at 02:35 CEST (check out the launch video via YT). 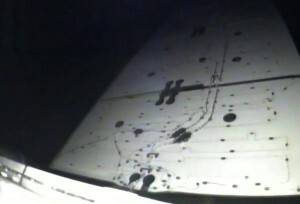 Even with an engine shut off in the most critical phase of the mission (around max Q – the point during ascent when aerodynamic forces are at the maximum), the capsule reached its planned orbit, demonstrating the robustness of the Falcon 9 launch vehicle. The engine failure is, however, bad news for the auxiliary satellite payload by OrbComm. Their satellite missed the ISS ‘safety gate’, a window in the orbital elements (trajectory calculation) that ensures long-term collision avoidance with the ISS. Therefore, the upper stage was not allowed to perform a second burn that would have raised the orbit of OrbComm to its nominal target orbit. What is Space X doing right that so many others (industry and government agencies alike) do wrong? Since the huge success of the COTS2/3+ mission (subsequently renamed the Dragon C2+ flight) at the end of May this year, I’ve been asking myself that question. 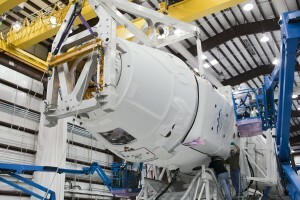 First off: It is a bit unfair to compare the Falcon/Dragon programme to other government or private programmes, because NASA has accepted a lot of risk in the contract with SpaceX, and NASA is supporting the SpaceX programme with a great deal of infrastructure (TDRS data relay satellites, recovery aircraft, ground tracking stations, ISS assets). On the other hand: SpaceX has pulled off the development of a mid-size launch vehicle (including highly reliable engines) plus a very capable spacecraft for a budget below $2B and within less than 10 years. What is going on here? Is the established space community inefficient? After thinking about it for a while, I have no final conclusion, but a hypothesis: the amount of outsourcing that has occurred in the 1990s in those companies/agencies has taken a lot of innovation and technical leadership from them. Now they depend on a contract-mechanism to implement programs. This dependency increases both cost and implementation time. What do you think? Postscriptum: Elon Musk discusses many of the aspects mentioned above in this interview.